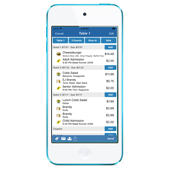 Our system was designed from the ground up with handheld ordering at it's core - and it shows. 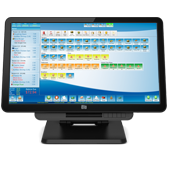 With a clean and intuitive interface our best-in-class POS handheld is your serving staff's best friend. No need to clutter your floor with bulky terminals - put the full power of your POS system in every staff member's pocket. Our POS Terminal is the heart of every fast-paced bar environment. It was designed to be fast and user-friendly at every step. To servers and bartenders everywhere the POS system is a necessary evil - it is our goal to make their experience with the POS as fluid and least disruptive to their flow as possible. 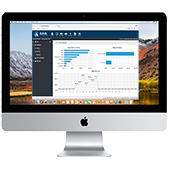 Configure and monitor your business from anywhere with our web-based back-office system. Adjust pricing, run reports, edit the employee schedule, whatever you need, whether you're at the office or on the beach. Take control of your kitchen with our industry-leading Kitchen Video System. Not only is it completely web-based allowing you to run on a variety of inexpensive hardware, including tablets, but it is included at no additional charge with your subscription. Making it not only the best, but the most affordable, KVS on the market. 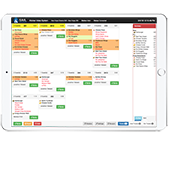 Contact us now to schedule a free demo!